Here in York we hosted Shift Happens – Episode IV – A New Hope – a full day of talks / provocations / good coffee / good food / and people gathered together / with one shared aim – to make shift happen. 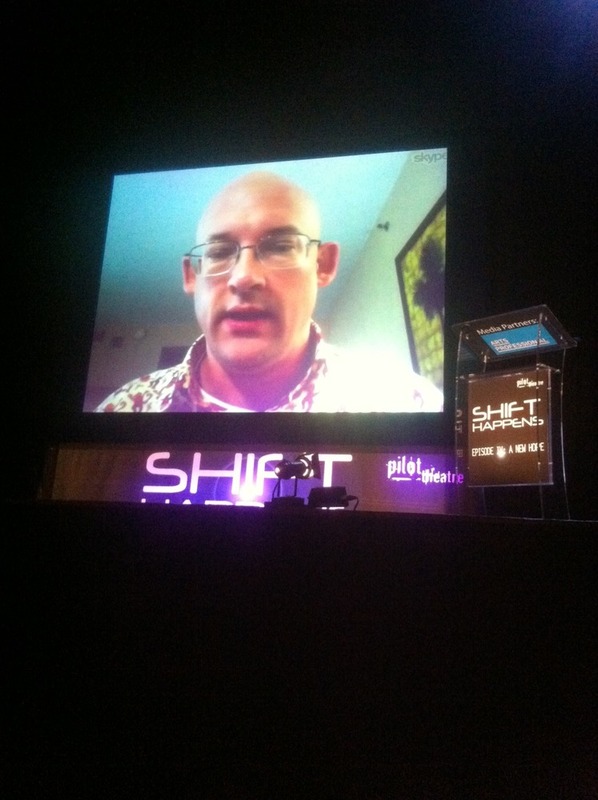 Here is Clay Shirky live from NYC talking to us / and answering our questions. A genuine ‘rock star’ of the interwebs. I was blown away by the generosity of time, spirit and shared ideas of the whole day.